True freshman Jaycson Bereal was charged with two misdemeanors early Sunday morning. 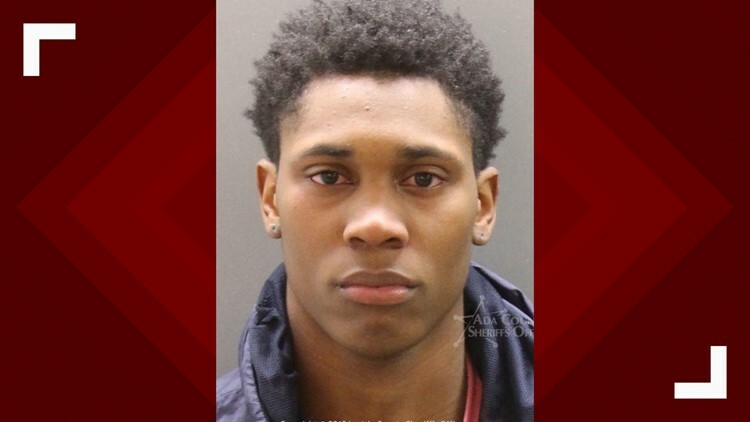 BOISE, Idaho — Boise State true freshman Jaycson Bereal was arrested in Boise early Sunday morning. He was booked into the Ada County Jail at 1:36 a.m., charged with misdemeanor battery and loitering as a minor near an establishment that sells alcohol. According to Boise Police, Bereal, 19, entered a bar on the 600 block of Main Street around 12:33 a.m. When an employee learned he was under 21, Bereal was asked to leave. Boise Police say he refused, then began fighting with the employee. He was arrested and charged with two misdemeanors. He was also cited for possession and consumption of alcohol by a minor. He has since been released from jail. Boise State released a statement Sunday morning, saying in part "the University of aware of last night's incident, and will handle appropriately per department policy." Before becoming a Bronco, Bereal went to Booker T. Washington High School in Oklahoma. He was rated a three-star recruit by 247sports.com and was considered by many to be the prized possession of the Broncos' 2018 recruiting class. The 6-foot-6, 198-pound guard is currently redshirting for the Broncos this season. He was noticeably absent from the Boise State bench during the Broncos' 77-52 win over Wyoming back on January 28. He hasn't been seen on the bench since then. During redshirt seasons, true freshmen often accompany the team on the bench, especially for home games. Bereal isn't the only Bronco to land behind bars within the last year. Transfer Patrick Dembley was arrested in June 2018, just days after arriving on campus. He was charged with one misdemeanor count of disturbing the peace.